More digital items available with WAX. 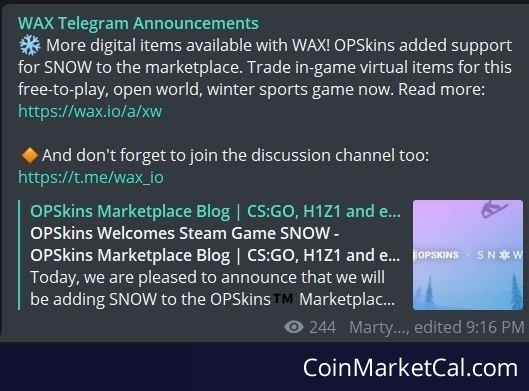 OPSkins added support for SNOW to the marketplace. Trade in-game virtual items for this free game.